Growing up in Boston, as I did, you had to be familiar with the name Copley, because the main square in the city is named “Copley” square. 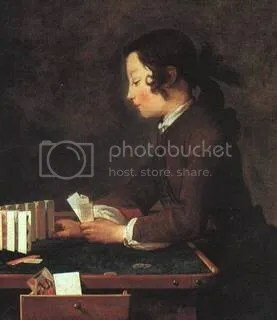 Growing up with the Museum of Fine Arts in Boston as your home away from home, as I did, you had to be familiar with John Singleton Copley, the painter, because the MFA has, doubtless, the world’s best collection of his paintings. He was, after all, the famous Boston colonial era painter after whom Copley Square was proudly named, in 1882. As a youngster, I was obsessed with how great Boston was, in as many ways as I could think of. I looked for articles and books that would feed into that idea. Now that I’m an adult, I’d like to think that I have more sense of reason about this. For example, while I claim Bobby Orr as the greatest hockey player of all time and, while I’m sure many Wayne Gretsky fans would dispute this, I’m certain that no knowledgeable hockey fan would argue that a strong case can’t be made for Orr. I’m barely interested in sports anymore. But I guess that I haven’t quite gotten over being a homer. I’m almost certain that some of my support for Kerry in 2004 was based on his Boston connection. More of it was based on a desperate sense in both my head and my gut that if we didn’t get rid of Bush, we would really be in for a hellish four years, but I probably would have been more of a Deaniac were it not for my homeboy connections with Kerry (lol!). I still take pride in the fact that Massachusettes was the only state that didn’t vote for Nixon in 1972. My homerism works the other way too. I hated The Departed, because I thought it was an insult to everything Boston that Jack Nicholson played the lead role. And it’s still hard to accept that the 911 planes flew out of Boston. Maybe it’s not surprising that I think John Singleton Copley has been underestimated by history. That’s one reason I want to write about him. I also want to write about him because he lived in “interesting times” and surfed through them in a way that was inspired, skillful, and ultimately tragic. 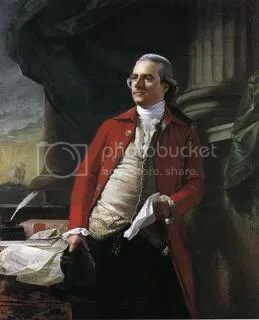 I went to the Art Library on campus the other day, here in Indiana, where I now live, to get out as many books on John Singleton Copley as I could find. To my amazement, they didn’t have much and most of what they had was old. I love old books, but old art books sometimes lack up to date information, of course, and recent perspectives and often don’t have as many color reproductions. So I was a little disappointed. Ok, well, maybe I was being a Copley-loving prig too, but THAT was understandable! 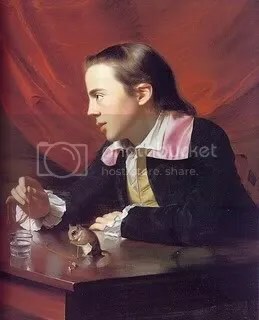 Washington Allston was a very talented artist, probably my favorite in the generation that followed Copley, a generation that Copley helped mentor (also including such artists as Charles Wilson Peale, Gilbert Stuart and Jonothan Trumbull). Now, really, I’m as suspicious of the Great Man view of history as any self-respecting Progressive ought to be. First of all, it’s a blatantly and perversely patriarchal view of history. Secondly, surely, no open-minded person this side of neoconville would hold onto the Great Man theory after several decades in which intellectual inquiry has been tempered by the flames of deconstructive critique! But I still have a tendency to choose heroes and stick to them. Some of my choices expose me to ridicule. Well, like Seabiscuit. But I always have my reasons. Sometimes they are even good ones. Take Bobby Orr, for example. Orr revolutionized the game of hockey more than any other single player. He played hockey with a mixture of speed, power, passion, smarts and creativity that had never been seen before or since. Bobby Orr played hockey the way it was meant to be played and for a living. That is like saying Picasso drew pictures for a living. His was a style of hockey never before or since seen in Boston, or anywhere else for that matter.Bobby Orr played the game with the grace of a Bolshoi balleteer. He was Nureyev on skates. When he stepped on the ice, the Boston Garden was transformed into Swan Lake. That’s why I still love Bobby Orr. He was a (transplanted) Bostonian, but more than that, he was a reminder to the entire world of sports that winning ISN’T everything, that it’s a byproduct, while passion for sport itself CAN be everything. I’ve picked Judy Garland as the greatest artist of the twentieth century. She has nothing to do with Boston. Why Judy, then? She was nothing but a hoofer, a belter, a product of the star system, a drug addict, a waste. Yes I’ve heard how difficult it is to work with Judy Garland. Do you know how difficult it is to BE Judy Garland? I’ve been trying to be Judy Garland all my life! She believed in what she was doing as an artist. I don’t think she ever quite knew what it was she WAS doing, but it involved somehow weaving singing, acting and dancing into a wholeness. As fractured a person as she was offstage, onstage she sought and found a wholeness in disparate things. I think that was why many of her fellow entertainers were awed by her. She lived where they visited. That’s one pretty solid way to keep things in perspective. It seems to have worked for Orr. I was born at the age of 12 on a Metro-Goldwyn-Mayer lot. Young Judy Garland: Do you think I’m pretty, Mr Edens? Roger Edens: …and what you’ve got in there is beautiful. You’re Frances Gumm. Young Judy Garland: I’m not Frances Gumm, I’m Judy Garland! Roger Edens: Well, when you sing, I wanna hear Frances Gumm, that’s who Judy Garland really is… and Frances Gumm has one of the best voices I’ve ever heard. Young Judy Garland: I get so scared sometimes, Mr Edens. I don’t know where that voice comes from. Roger Edens: It’s a gift. Young Judy Garland: does that mean that it can be taken away? I mentioned before that Boston is an art proud town. It seems likely, to me, that the Puritan Passion that drove the settlers to the Mass. Bay Colony during the early decades of the 17th century, however rank with hypocrisy it may have been, was a powerful cultural force that translated over the centuries that followed into many forms, including love for education, art, literature, philosophy, etc..
During the early decades of the 18th century, Boston became a hotbed for painting, as colonies go. 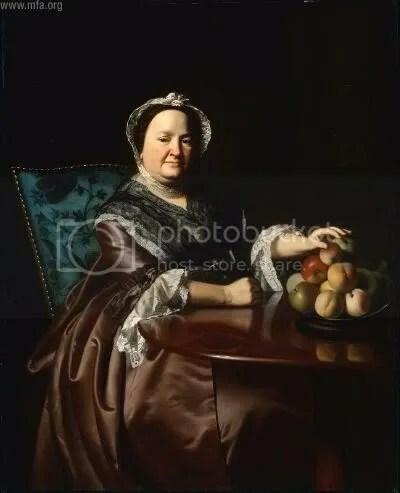 John Smibert had arrived in Boston in the 1720’s, carrying a museum of copies of European paintings with him, and proceeded to set up a business as a portrait painter, and opened an art gallery, the first in America. Smibert had come to America with Bishop Berkeley (Berkely of philosophical fame), who had travelled to Rhode Island (to the Bahamas, originally) with visions of setting up a University. Abandoned in Rhode Island by his backers, Berkeley eventually left the books he had brought to Yale and went back to England. Smibert stayed in the colonies. Smibert wasn’t really a good enough painter to compete in England. But, fortunately for NEW England, he was far from untalented. 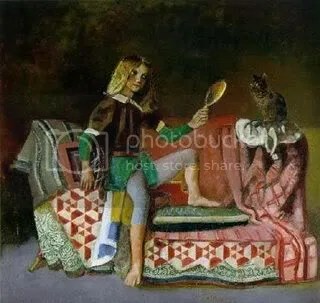 When you look at a John Smibert painting, I think you see two things; that he loved to paint and that he had a real sensitivity and affection, for the human face, for the emotion of a human face. Smibert must have been a kind man. Copley seems to have spent much time in his studio, studying his collection. It must have been a sort of home away from home, like the Museum of Fine Arts in Boston was for me when I was a child. It’s funny to think that Copley’s paintings were for me what Smibert’s paintings were for Copley. Copley had another mentor in his stepfather, Peter Pelham. 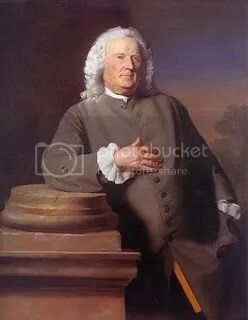 Pelham had a strained relationship with his own father, and perhaps this influenced him to regard young Copley warmly and to teach him all he knew in the three short years they had together, before Pelham died. Pelham was an engraver and occasionally a painter. His craftsmanship was solid and his approach down to earth. 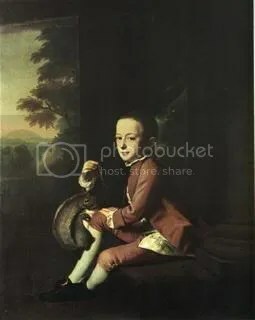 Smibert and Pelham both died the same year, 1751, when Copley was 13 years old. This seems to have intensified Copley’s commitment to the crafts they had espoused. How Copley must have astonished Boston society. Boston, in the early 17oo’s, was arguably the foremost city in the colonies and one of the most notable ports in the Empire. Cosmopolitan cultural expression was starting to be a real concern for urban society, a development which alarmed the Congregational establishment, helpng to motivate the founding of Yale in 1701 (as a reaction against what was perceived to be the secularization of Harvard), and contributing to the reactive passion expressed through Jonathan Edwards’ rurally based Great Awakening. In five short years, John Singleton Copley had far surpassed, in skill and sophistication, any other painter in the colonies. From his humble, but surprisingly (culturally) rich surroundings, he had absorbed much. From Smibert, he had gathered a love for the expressiveness of a human face. From Greenwood and Feke he had learned the basics of posing a figure. From Pelham’s engraving collection, he had learned sophistication in composition and an ease with masses of drapery. From Blackburn, Copley picked up appreciation for the way that objects, clothes and gestures could both enliven a painting and contribute to expression. All this, Copley must have absorbed with almost superhuman hunger. Then he added more. He seemed to grasp the essence of a person’s physionogmy, as if it were a simple thing. He keenly sensed and vividly expressed a person’s attitude. President John Adams said Copley’s portrait of his friend “Josiah Quincy” seemed ready to rise to greet him. In the 18th century, portraiture was denigrated as ‘mere copying’ of nature. 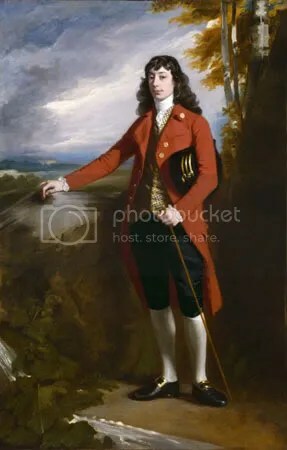 Copley was very sensitive to this, and it was partly for this reason that he became anxious to leave Boston for England. There was little market for or interest in painting other than portraiture in colonial America. This changed after the Revolutionary War, and it changed partly because of Copley’s own fame and influence, but at the time Copley left Boston, just before the war, leaving was really the only way he could continue to develop his career and his growth as an artist. 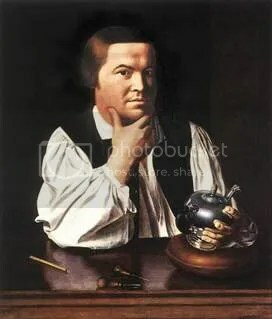 Yet, I think Copley was fortunate in this frustration, because, with no option (while he remained in the colonies) but to paint portraits, he made the most of it. He seemed to see something in a person beyond appearance and personality; seemed to express something of their soul on canvas; seemed to tell a whole story about a person in a single picture. Copley seemed to sense and express a person’s wholeness. I don’t think he or any of his subjects would have put it that way, but I think they knew it when they saw it. This amazing painting has all the bells and whistles of prestige. It has a massive classical column that seems to have jumped out of some temple, dragging along with it some absurdly baroque curtain. The sitter is swaddled in masses, mountains, of expensive silk fabric, possibly copied from some old-fashioned print. But, somehow overwhelming all that excess is a sense of Mrs. Boylston as a person. There are touching details, like the wrapping on her arm, the whisps of hair around her face and her tired, but patient, expression. And there is something that feels like an ocean of inner strength. Of course, history has boasted many great portraitists. the 18th century boasts some of the best. But the closest one to Copley in spirit and style may have been Hans Holbein the younger. Each painting depicts a workman in his workshop (albeit one could be called “blue collar” and one could be called “white collar”). Each has an air of pride, though Holbein’s merchant seems a bit suspicious and Copley’s Revere seems to be musing. Each painting has an intense realism, a love for observation, expressed through a nearly flawless marriage of line and mass, but each painting’s hardheaded realism is belied by a feeling of soul. That’s not to say that either of these characters is likeable. 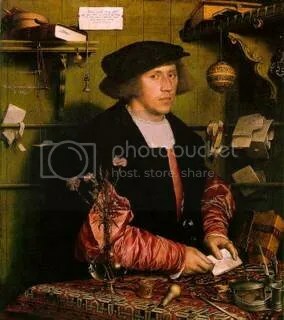 The glory of their work, Copley and Holbein, was that they didn’t HAVE to flatter thier sitters, because they seemed to capture something deeper, something that would have been lost if they’d tried to blur the flawed humanity of their sitters, something therefore irresistable then, as now. Copley’s way of painting had something in common with Vermeer too. 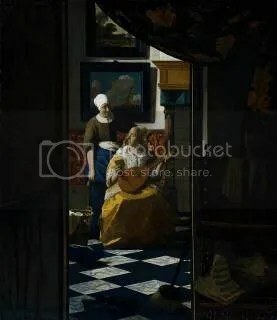 Like Vermeer, Copley had a very rare gift, an ability to capture the coldness of indoor light during the daytime, yet without creating cold paintings. He also, like Vermeer, had an ability to freeze movement, in a way that seemed not awkward, but timeless. Again, like Vermeer, he had an eerie ability to find gestures that seemed completely ordinary AND deeply meaningful. Combined with sublety of expression, the result could be storytelling that was both genre and poetry. Copley’s frustration was understandable, but it wasn’t quite the truth. In Boston and New York, where Copley painted briefly, the possession of works of art-especially English-style pictures-by an artist as accomplished as Copley was of immeasurable social value. 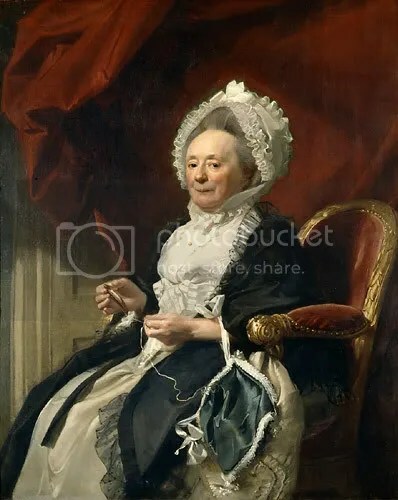 Typically displayed in the halls, parlors, and dining rooms of homes decorated with Chippendale-style furniture, Rococo tea sets, and other fine things, Copley’s portraits became centerpieces in the stagecraft of elite, eighteenth-century life. 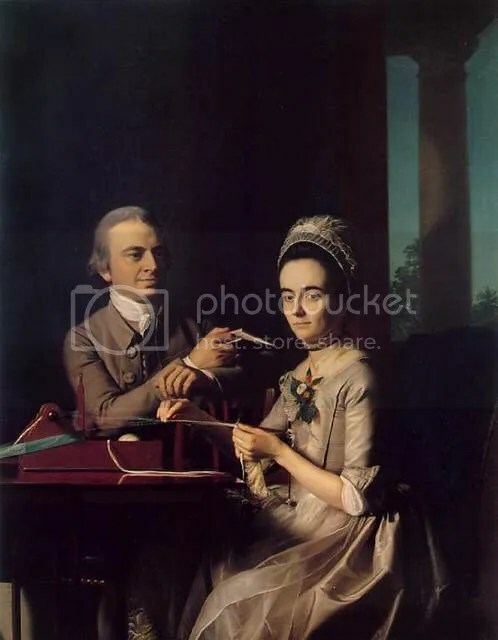 As a result, Copley’s work saturated the market to a degree perhaps unprecedented in the history of art and contributed vitally to the forging of social identity for the American merchant class. 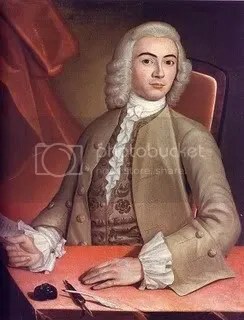 Copley had another extraordinary skill: he achieved his position as portraitist to the merchant elite of Boston and New York because he thought and behaved like a gentleman. In an era of accelerating class divisions and political upheaval, Copley flourished. He closely identified with his patrons and, until their world collapsed on the eve of the American Revolution, captured and confirmed their values and hopes. From Letters And Papers Of Johh Singleton Copley and Henry Pelham, 1739-1776, Mass. Historical Society, 1914. For Copley, making this painting was a statement about his abilities as an artist, and about his ambitions; and (whether he consciously intended it this way or not), it was a statement of self awareness and self assurance for the society which had produced him and which he represented, literally and figuratively. Benjamin West was born the same year as Copley, in 1738, but, for many years, he behaved towards Copley as a mentor. 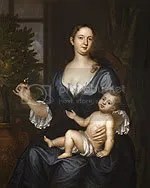 His career path was opposite to Copley’s, in that he left the colonies for England when he was very young and matured there as an artist, quickly achieving a respected status and the patronage of the King. 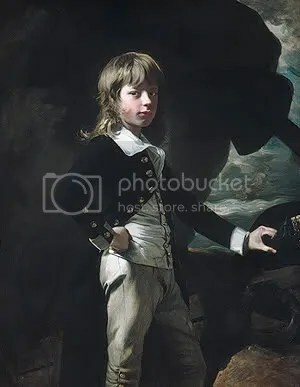 Thus, he was in a position to encourage, support and advise Copley, after he saw Boy with a Squirrel at its London exhibition, and the two men began an intensive correspondence. Honestly, I don’t know if I see the stars and stripes in the painting – they are very faint if they are there! Together, West and Copley blazed a trail in English painting, helping to create a vogue for martially oriented paintings of contemporary, or nearly contemporary events, a vogue that ultimately became important in the new American Republic, led by Trumbull and other painters who had been influenced and mentored by West and Copley. 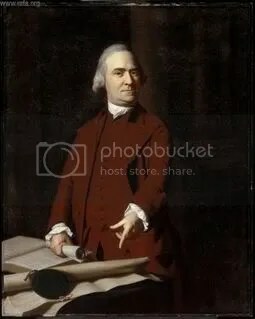 The new nation’s Founding Fathers, famously John Adams, were very concerned about how their exploits would be remembered and history paintings were part of the answer to that. …the artist must not become a storyteller…Nothing happens in a picture, it simply is; it exists by its essence, or it does not exist at all. Copley DID understand that about painting, in his gut, though he might not have put in those words. hn Singleton Copley. Daniel Crommelin Verplanck. 1771. Oil on canvas.125.7 x 101.6 cm. The Metropolitan Museum of Art, New York, USA. More..
…. 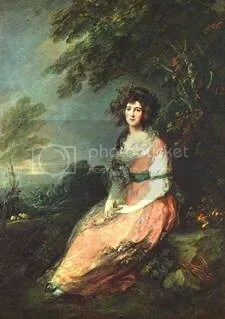 And then, like a phoenix up from the ashes, (Copley) rose to equal if not greater prominence in London by the deployment of the same remarkable artistic and social skills. Following a brief respite in Rome during the summer of 1774, where Copley studied the old masters and drew as he had rarely done before, he landed in London and remained for the rest of his life. There, his portraits proceeded from his American successes, employing, in likenesses such as that of Midshipman Augustus Brine (43.86.4), the same dazzling effects. He continued to amaze clients with his portraits even while establishing himself as a key player in the current rage for history painting. 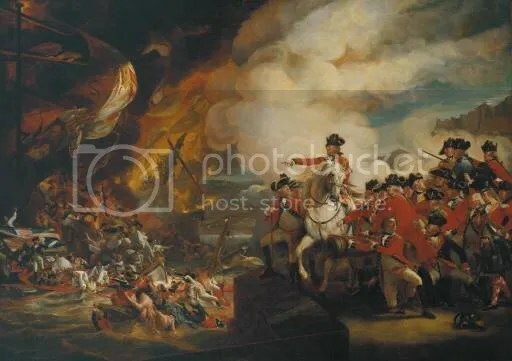 With the critical success of The Siege of Gibraltar (60.44.19) and his enormous tableau The Death of Major Peirson, Copley joined the top ranks of British painters, was elected to the Royal Academy, and won royal patronage that kept him painting until the very end of his extraordinary life. Copley’s brushwork became more fluid and his posing of figures became more relaxed. His color became warmer, too, as Reynolds had predicted. Oil on canvas; 49 ½ x 39 5/8 in. Copley’s first ten years in England were the fulfillment of everything his friend Doctor Morgan had predicted for him. There was also a new richness in Copley’s handling of paint and a luminosity in his color. In a few months, during his Grand European tour, before he settled in England, he had mastered the kinds of things about painting that one can absorb only by spending time with the old masters. … the works of the great Masters are but Pictures, and when a man can go but a very little beyond his contemporarys he becomes a great Man. the difference between Raphael, Titian, Angelo and the common run of moderately good Artists, is not so great as one would Imagin from the Praises bestow’d on those Great men. Perhaps the most important thing Copley picked up during his European tour was an unmatched ability to compose multiple figures into a composition. As a painter myself, I can testify that this is one of the most difficult things to master. Just getting all your figures to feel like they are inhabiting one space is immensely difficult (and I’m not necessarily talking about a literal space – it can be as much of a challenge for a Picasso as for a Rembrandt). Then to get them interacting with each other is another level of challenge. Then, to develope a sense of gesture that binds them into a whole, a whole which also expresses something, AND to have the whole thing work as an ABSTRACT design (because every figurative painting is first and foremost an abstract painting, a composition of colors, textures and shapes) – well, you might as well sit down and try to calculate pie to six million places as try get all those artistic layers to work together!! As marvelous as this painting is, there is something terribly awkward about the way doll like figures are strung across the canvas, something forced about the way they are interacting. And remember, West was one of the best at this! But he was no Rembrandt. He wasn’t a Copley either. After more than a year in Rome sketching classical art and studying Renaissance and baroque masterpieces, Copley settled in London with his family. In 1777, he exhibited his painting, “The Copley Family,” at the Royal Academy. It was his most ambitious and complex group portrait as well as his largest work up to that fume, intended to announce his abilities as a portrait painter in England. 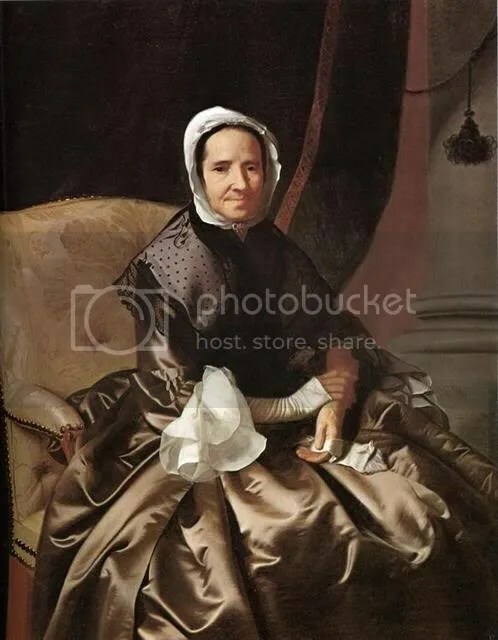 The realism of the faces and skillful representation of fabrics are typical of Copley’s American style, but the brushwork is more varied, from thickly stroked passages to transparent glazes. 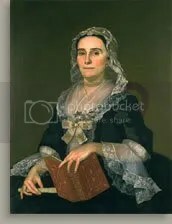 Copley’s portraits remained an important source of income for him in England. 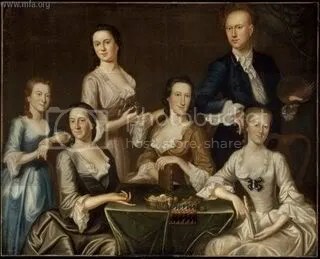 Portrait of the Copley family, 1776. 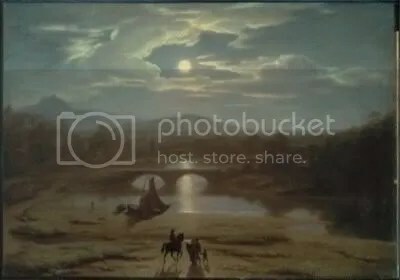 This is probably my personal favorite among Copley’s paintings. I love the fact that it is a bravura performance in so many ways. In a densely packed composition, Copley shows off the luminosity of his color, the fluent way different textures and materials are handled, the lovely sense not only for the sensuality of skin, but for the way that varies from person to person (Rubens was one of old masters who impressed Copley the most). Above all, what I love is how touching this painting is. There is not only a strong sense of family, but even of people clinging to each other, as if a life raft were being depicted, not a drawing room. The Copleys were in fact a family uprooted, a family of refugees. 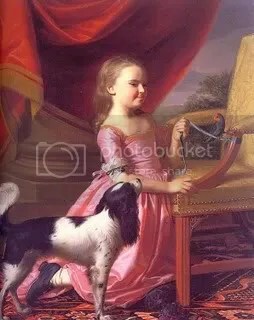 This picture was well received in England, but it was also, typically (for Copley’s paintings), nitpicked to death. One critic complained that one could not tell what to pay attention to in the crowded painting. Like many painters in history who have reached a depth of expression that arrouses discomfort in others, Copley had to cope with misunderstanding. Looking back on the painting now, we can see that the sense of claustrophobia the painting gives off was part of the point. But aesthetic theories of the time simply had no place for such understandings. 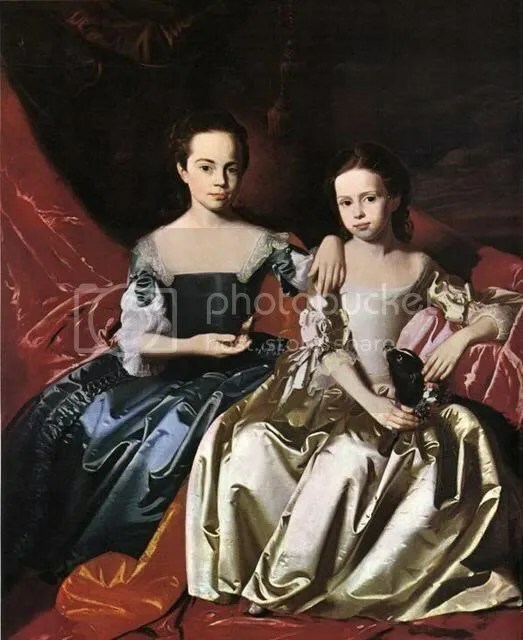 I think they knew that the painting was strong, but that it made them a little uncomfortable, and they attributed this to Copley’s lack of knowledge of (classical) compositional principles, when in fact the opposite was true. This was composition at its best. Perhaps Copley’s greatest triumph lay ahead. 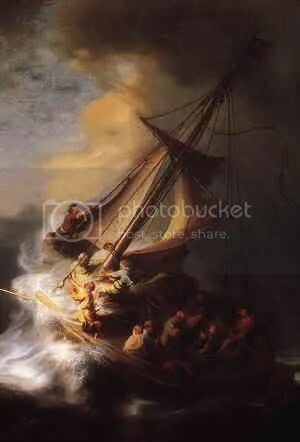 It was his dramatic depiction of a contemporary event, the rescue of a young English merchant seaman from a shark attack in Havana harbor, that established Copley’s reputation in England. 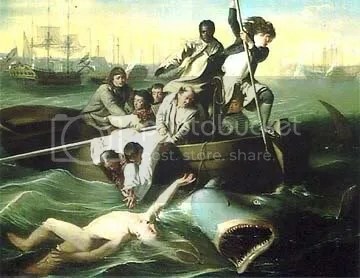 “Watson and the Shark” helped to broaden, popularize, and redefine history painting by transforming an episode in the life of an ordinary man into a parable of salvation. Both paintings combine an almost frightening feeling of action and impending violence, with an eerie calm. I’m a religiously sentimental person, so I put it in religious terms; there is a sense of redemption in extremis, of a unity that is found in response to danger. For one moment, people are united in their struggle – only for a moment, but for a moment they might never forget. It is hard to imagine the complicated thoughts that must have been churning through Copley’s head at this time. Having proven his mettle with Watson, Copley was ready to step onto the big stage: history painting. Here he would be competing head to head with his former mentor, Benjamin West. 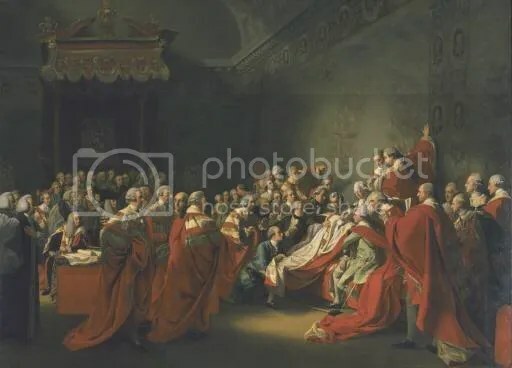 At that moment in time, Benjamin West was probably the leading light in the most highly regarded arena of painting, history painting, not only in England, but in the world. He had attained this status by taking a big risk and striking gold. It had been assumed that the characters in history paintings should be mythologized. Otherwise they would lack dignity. 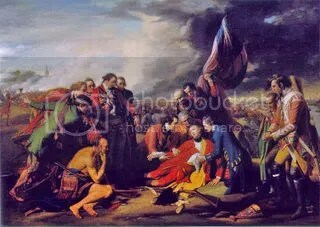 West found this idea foolish and insisted, against all advice, on painting The Death of General Wolf, an event which took place in the battle for Montreal, with all the characters in contemporary dress. This painting was such a success that it made West basically a Made Man, THE favorite painter of the king. West must have been startled to find that he was being challenged, a decade or two later, in the field of endeavor he practically owned, by the fellow American he had taken under his wing. West must have known that Copley had ambition at least equal to his own. Meanwhile, protected by Royal patronage, West’s paintings were becoming more and more overblown. Copley was a better painter. Also, unlike West, he had experienced dramatic churnings of history at first hand, in Boston, and been caught up in them. During his years as a portrait painter in Boston, Copley had painted portraits of both ‘loyalists’ and ‘patriots’. His family loyalites were with the ‘loyalists’ and in some ways he identified with them more culturally and in terms of his ambitions. But his paintings of ‘patriots’ such as Revere, Adams and Hancock are full of sympathy. He was a man in the middle and that fact thrust him, for one moment, one crucial moment, onto center stage on the road to the American Revolution. The British Government had reduced the price of tea for the colonies by cutting out the middlemen in England who had handled the traffic in between India and the American Colonies. 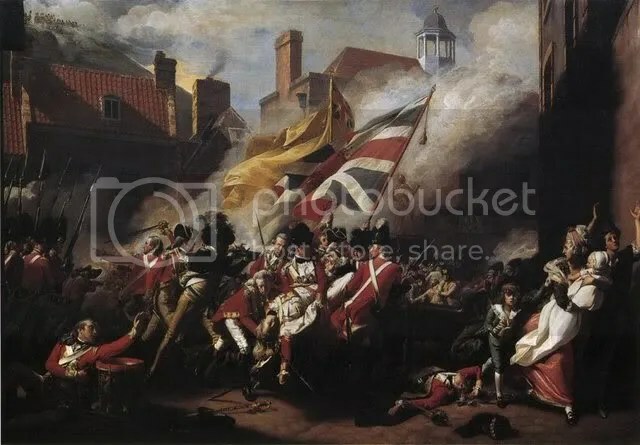 The Brits must have felt that they were taking a big political chance at home, in order to cut the colonials some slack, to help make up for some extra taxation. This might even have worked, except for one little wrinkle. They decided to punish rebellious types in the colony by giving loyalist merchants a monopoly on the cheaper tea. If I were a certified historiant (;)), I might insert here a comparison to the reconstruction funds that the Iraqis were supposed to be extremely grateful for, except that that one had to be a crony, or in with a crony, to get them. In a stormy session at the Old South Church, Copley attempted to work out a compromise between his friends on both sides of the dispute, between the ‘loyalists’ who had the tea, and the ‘patriots’, who wouldn’t allow it to be brought into the city. Copley actually succeeded in calming passions, but when the loyalist merchants, to whom he was related by marriage, refused compromise, Copley was not only pushed unceremoniously off the stage of history, but was subjected to threats of mob violence that helped speed his departure from Boston. “The Death of Major Peirson, 6 January 1781” is the centerpiece of the exhibition. Major Francis Peirson, who was leading a counterattack against French troops invading Jersey in the English Channel, was killed at the moment of his victory. 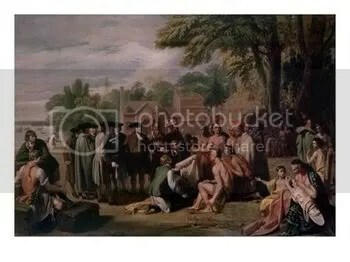 In a departure from the usual idealized imagery, Copley combined reportorial accuracy with the drama of traditional history painting. In so doing, he opened the way to a new conception of the genre that would have repercussions throughout 19th-century art. 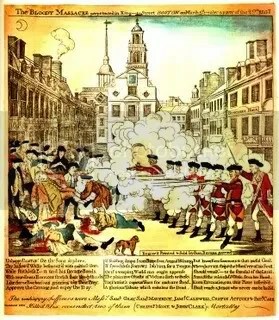 I think it’s revealing to compare Copley’s Death of Major Pierson with Revere’s print of the Boston Massacre, which was based on a drawing by Copley’s brother. 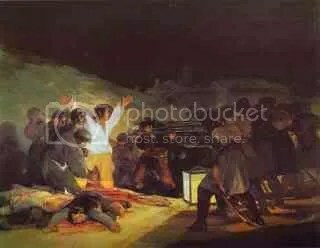 Twenty-one days before– on the night of March 5, 1770– five men had been shot to death in Boston town by British soldiers. Precipitating the event known as the Boston Massacre was a mob of men and boys taunting a sentry standing guard at the city’s customs house. When other British soldiers came to the sentry’s support, a free-for-all ensued and shots were fired into the crowd. Copley packs a profound and layered meaning into what is ostensibly a simple exercise in patriotic (British) fervor. The awkwardly fleeing woman with two children on the right are an obvious reference to the horrors of war, almost an accusation. That alone makes Copley’s Death of Pierson very different from West’s Death of Wolfe. But Copley doesn’t stop there. West’s figure relies on pathos, and in doing so, subordinates the battle to the sentimental response of both viewers and combatants to the General’s death. Copley takes a different approach. 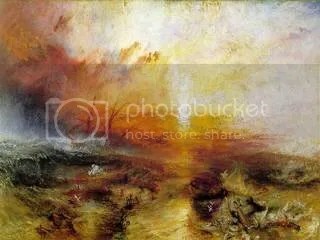 In his painting, the hero’s death is all the more poignant because it is swallowed up by the action taking place around it, action which is not exactly realistic, but which FEELS realistic. You can almost feel the Brits pressing back against the force of the oncoming French, while also trying to head off a flanking movement. Unlike Wolfe, who seems to be languidly wilting away in West’s painting, like Christ in Michelangelo’s Pieta, with all the time in the world, Pierson has been palpably struck mortally, to the shock of his colleagues. Copley’s painting celebrates the bravery of warriers, but in the context of exposing the horror of war. 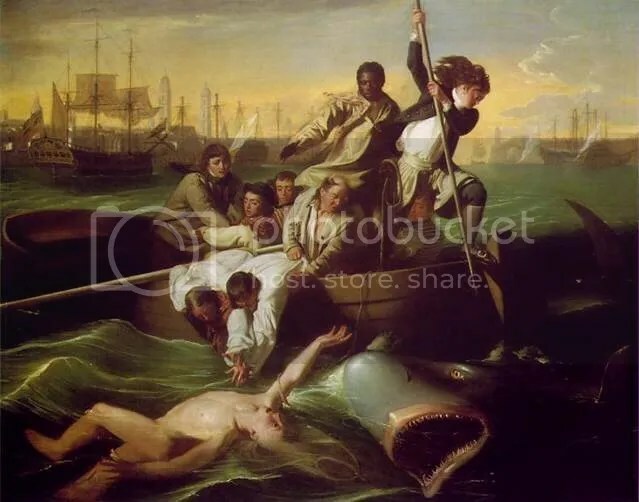 One particularly interesting to note, about both Watson and the Shark and The Death of Pierson, is that the key stabilizing figure in both compositions is a black man, portrayed without a trace of patronization. The Death of Major Pierson was a success for Copley, but a source of friction between him and the Royal Academy, because he exhibited it separately and charged admission (a practise that became popular in the 19th century, but was not common when Copley first did it). Copley’s next large historical painting was in some ways even more interesting as a choice of topic. On 7 April 1778, William Pitt, the 1st Earl of Chatham, rose to speak in London’s House of Lords. In the midst of a debate about the colonial revolutionaries, Pitt suffered a stroke and died one month later. His death removed one of Britain’s leading political moderates during the critical years of the American War of Independence. Pitt, like Copley, was a man in between. At first he had proposed a conciliatory attitude towards the colonies. This had been frustrated by more extreme attitudes on both sides of the Atlantic. As events moved forward, Pitt moved towards a hardline position and was in the midst of defending this when he died. 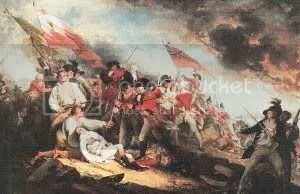 Without stinting the patriotic gravitas that the English public surely expected, Copley managed to convey a deeper sense of loss, of anxiety that the event tapped into. Each Parliament onlooker is carefully observed, each isolated in their reaction, but also united by their reaction. 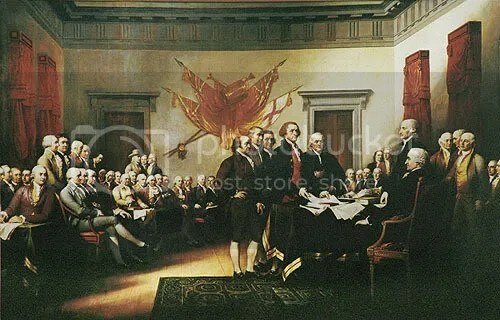 I see this painting as Copley’s attempt to summarize the tragic aspect of the American Revolution. 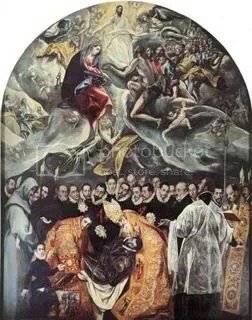 There is a somewhat similar painting by El Greco, where what might have been a conventionalized tribute to a dead nobleman, becomes a shared meditation on mortality, of the finality it brings to the imperfection human endeavors. Within five years of the debut of “Watson and the Shark” at the Royal Academy in 1778, Copley had entered the top rank of history painters in England, becoming one of the few artists to achieve success in both critical and popular terms, and winning the patronage of the City–London’s financial district–as well as the King. On the basis of his success with “The Death of the Earl of Chatham” and of his progress with “The Death of Major Peirson,” both of which were viewed by the Court of Common Council of the Corporation of the City of London at the artist’s Leicester Square studio in 1783, Copley was awarded the largest commission of his career. For the Court of Common Council Room, Copley would commemorate the 1782 British success in the defense of Gibraltar and the defeat of the Spanish floating batteries by painting a 25-foot monument to the military prowess of Sir George Augustus Eliott (later Lord Heathfield) and Admiral Richard Earl Howe. This paintingreally puzzles and fascinates me. It’s huge, something like 25feet by 25 feet. It’s like a Turner painting, in that masses of color almost take over the image. 35 3/4 x 48 1/4 in. Here again, as in Pierson, perhaps more than in Pierson, there is a sense that war is a chaos barely controlled by the efforts of men, if it is controlled at all. That troop of redcoats, led by an officer whose commanding gesture looks like Mickey Mouse in Fantasia trying desperately to control the waters raging out of control because of his own folly – they may look brave, but they don’t look like they really are in control of what is going on. As impressive as Copley’s rise was, his fall was in some ways even more impressive. 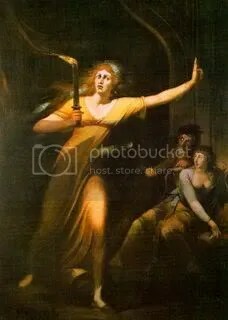 From the 1770’s to the early 1790’s he demonstrated painting powers that I would argue have been rivaled by few in history. Over the next decade or two, however, both his skills and his inspiration became spotty, even embarrassing. Looking at his late work, is sometimes like looking at the work of a different painter. The realism is diminished, the dynamic sense for composition seems to disappear, emotion seems forced. The overall affect becomes flaccid. 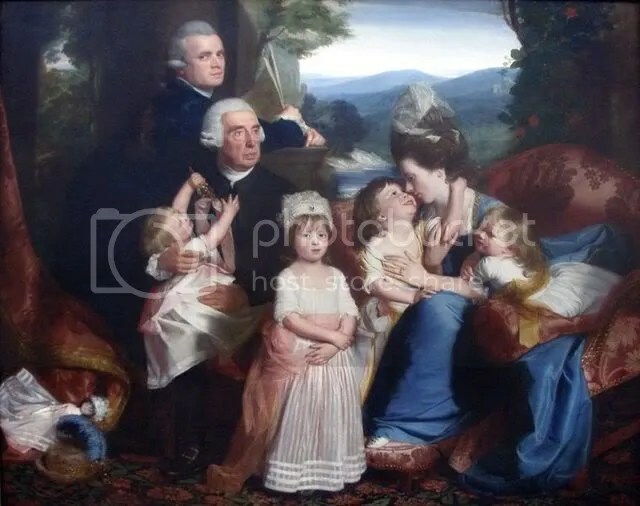 I actually love this painting, which I think is a really touching tribute to Copley’s children, who posed for the parts of the virtuous knight, hope and faith. But I think it’s also an example of the way his powers were beginning to deteriorate. 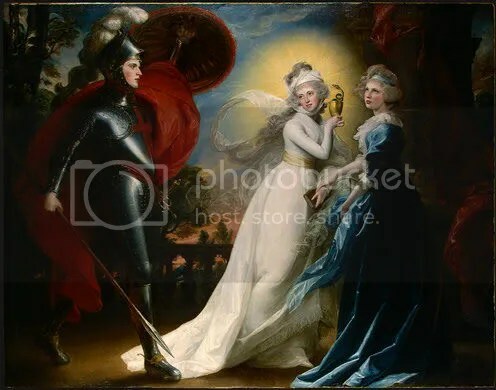 Some of Copley’s later work reminds me of Fuseli, to the point where I wonder how close he became to Fuseli, through their aquaintance in the Academy. This entry was posted on Saturday, October 6th, 2007 at 10:13 pm and is filed under Uncategorized. You can follow any responses to this entry through the RSS 2.0 feed. Responses are currently closed, but you can trackback from your own site.